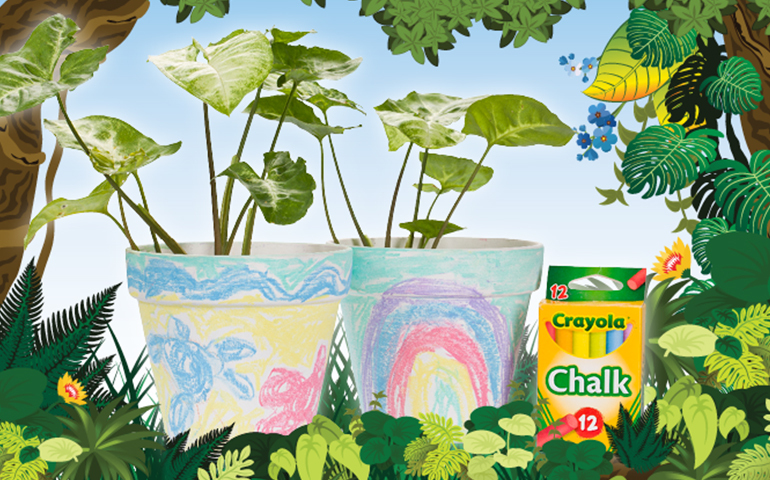 How are you planning to keep the kids entertained these school holidays? If you need some inspiration, here’s a list of what’s happening locally in Sunnybank and across Brisbane. From superhero exhibitions to free workshops and circus theatre, you’ll find plenty of activities to keep school holiday boredom at bay. This hilarious circus show (pictured above) will have your kids roaring with laughter. 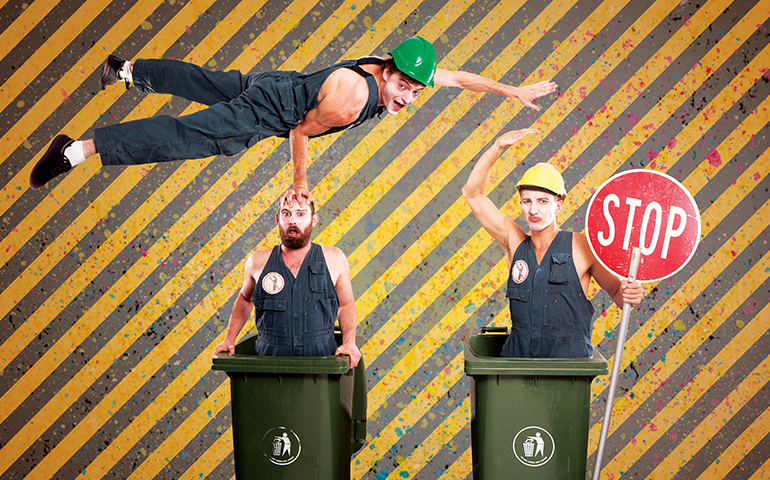 Coming to Sunpac after selling out at Edinburgh Fringe Festival, Trash Test Dummies takes place on bin night. But when the trash test dummies are around, the humble wheelie bin is anything but boring! The range of activities at Sunnybank Hills Library will keep the kids entertained all school holidays. There are coding workshops, movie screenings of Middle School: The Worst Years of My Life and Storks, science experiment workshops, storytime and pom-pom making. The activities are free and you can save your spot through the library’s website. Little superheroes will come face to face with costumes and props from some of their favourite Marvel movies at GOMA this school holidays. 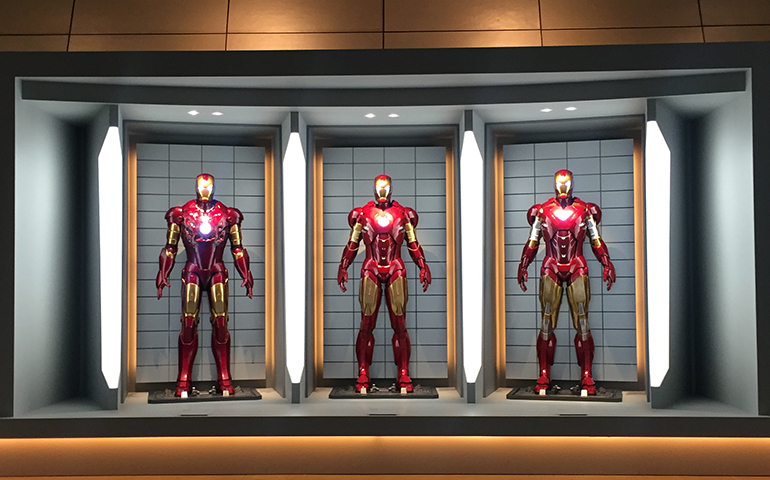 See Thor’s hammer, Iron Man’s suit, Captain America’s shield and other famous artefacts. There are lots of interactive activities to engage kids in the Marvel exhibition, as well as special screenings of Marvel films at GOMA’s cinema. While you’re there, head to the Children’s Art Centre for craft activities. Experience outdoor ice skating in the city, where King George Square has been transformed into a winter wonderland for Skating At Festival. In addition to the pop-up ice-skating rink, there is also a giant ice slide, food trucks and a series of performances from local ice-skaters. The free school holiday activities at Westfield Garden City are inspired by California’s famous music festival, Coachella. Visit the Kidchella Arts & Crafts activity centre outside of Big W to make your own dream catcher or pom tassel hanging. There’s also a colouring-in zone for children under five. Sunnybank Hills Shoppingtown is running activities over both weeks of the school holidays. Week one will see the Safari Zoo Activity Centre pop up, where you can interact with animatronic safari animals and make your own animal safari backpack. In the second week, head along to a Little Green Thumbs Workshop to decorate your own pot and plant a seedling to take home and grow. Maths has never been so exciting! This hands-on exhibition at Queensland Museum is so engaging that your kids won’t realise they’re learning useful skills like how to measure distance, calculate the mass of an object and work out probability. Head along to Mathamazing to have fun building structures, navigating mazes and piecing together giant puzzles.